At Armstrong Waterproofing Corporation, we don't believe in cookie cutter solutions. When Shane comes to do your estimate he will give you sensible solutions to your specific water problems. Check out our environmentally friendly products below. Channel-Cove is a seamless water diverter that redirects water where you want to go! Fluted channels collect water from the wall and weep holes and routes it under the floor into any sub-floor drain system. The smooth white facing can be trimmed with a channel-cove cap molding for a professional finish. Here are some of the advantages of Channel-Cove: • Touch High Molecular-Weight Material • Easy Installation • Works as a Diverter and a Non-Permeable Moisture Barrier in One Product Channel-Cove products are made of the highest quality materials and have been approved by the U.S.F.D.A., E.P.A., and Consumer Products Safety Council. Footer-Flo is an advanced drainage product used specifically for foundation waterproofing. Footer-Flo eliminates gravel, installs faster and drains more water than standard pipe and gravel. The design collects water from exterior walls and under the floor slab. Flexi-Seal is a reinforced flexible moisture and vapor barrier. It is a critical component in constructing closed, conditioned or vented crawlspaces. 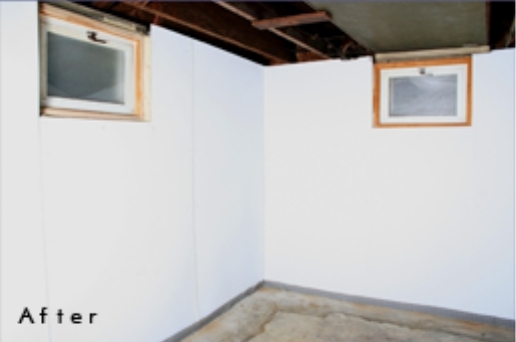 Your entire basement or crawl spaces can be completely sealed off from external moisture and ground vapor. 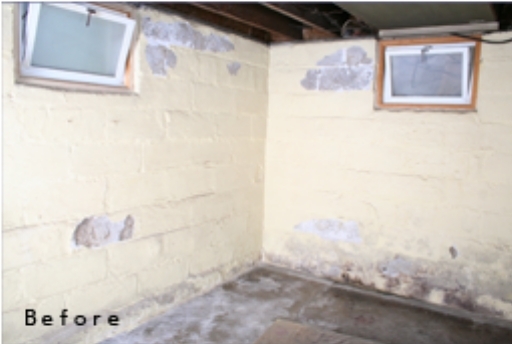 Flexi-Seal transforms a dark, dingy foundation into a clean, dry storage area that can be walked on. With Durawall, textured panels are designed as a permanent solution to water seepage by covering and sealing interior foundation walls. Durawall panels direct water flow into any drainage system, keeping the basement interior dry. Durawall panels are extremely durable and guaranteed not to fade, chip, peel, rot or splinter for the life of the structure. The textured surface will not support mold, mildew or other bacterial growth, and cleans easily with various common household detergents. Durawall products are made of the highest quality materials and have been approved by the U.S.F.D.A., E.P.A., and Consumer Products Safety Council. System Platon is known as the drainage solution that is versatile enough to be used for exterior and interior systems. Utilizing air-gap technology, System Platon provides a permanent water and moisture barrier along the entire foundation wall. System Platon has been used in foundation protection for more than 25 years and complies with BOCA, ICBO and SBCCI building codes. 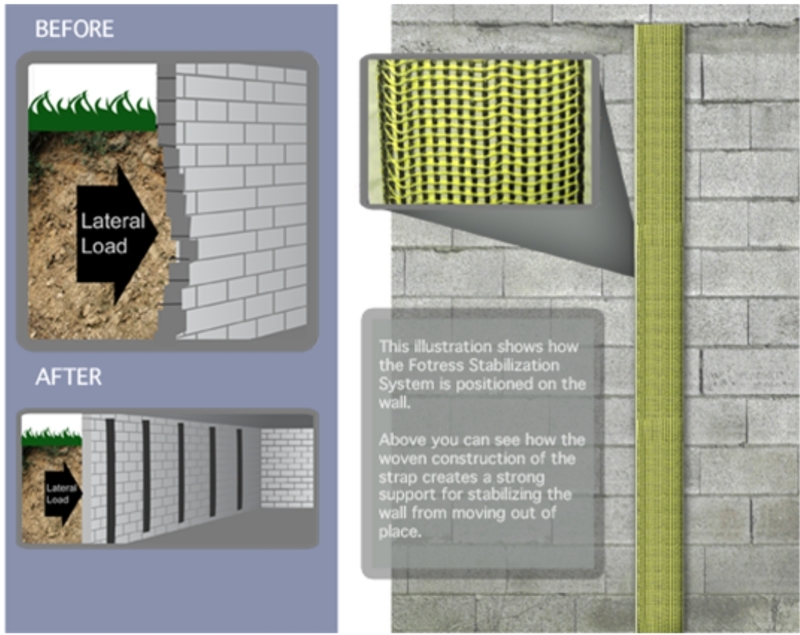 We use System Platon to create a permanent barrier on the exterior of your home. What's exceptional about System Platin is that, it can be installed without any special crews or equipment that's 100% environmentally compatible. 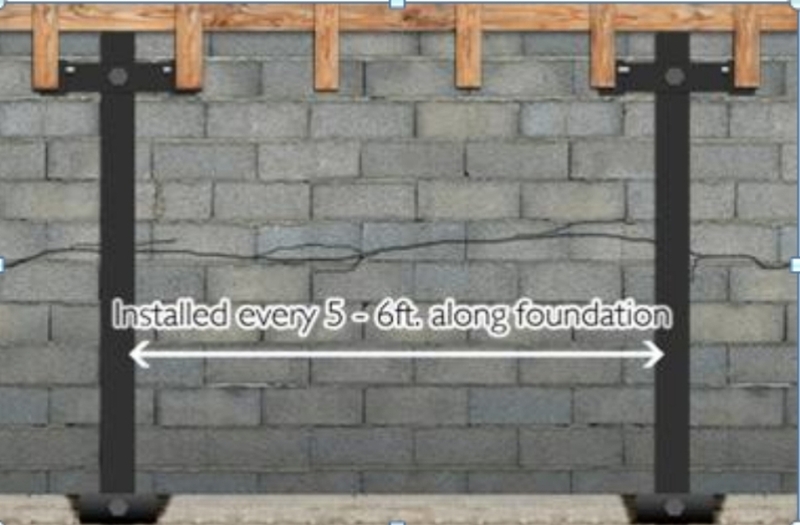 It can also be installed in any weather, rain or shine, down to -20 F.
The Inforcer Foundation System is a pre-engineered, effective and permanent solution to providing your foundation with structural integrity. The Inforcer is economical and will be an added value to your home. It is affordable and can typically be installed in less than a day. Hydrostatic pressure, thermal expansion, contracting and shifting soil can damage any foundation. If the foundation is compromised, the entire structure is put at risk. Eliminate the risk and restore the strength of your foundation walls. Spray foam insulation is a cost-effective way for homeowners to better insulate their homes and spend less on their heating and cooling bills each month. Spray foam insulating materials have been proven to be effective at keeping warm air in the home during winter months and cool air inside during hot, summer months. For more information about our products, give us a call today!